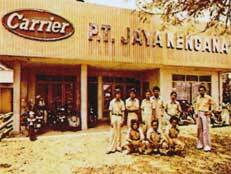 PT Jaya Kencana, established in 1965, is one of the first Mechanical and Electrical Contractor in Indonesia. We are also recognized as one of the pioneer to introduce Elevator and Escalator technologies to the country in 1983. 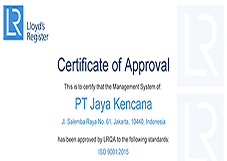 Growing together with the vast development of our nation, and at the same time survived the ups and down of Indonesian economy has transformed the company to become a strong and reliable institution. 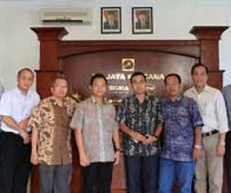 We has played a significant role in Indonesia constructing industry, contributing in the development of every aspect of humanity, from office building, schools and universities, hospitals, apartments, shopping districts, government building, factories and many more. 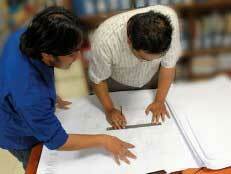 With more than 3000 projects and counting, our expertise is beyond doubt. We are now recognized as the nation's leading Mechanical Electrical Contractors due to our Excellence, Expertise, and Experience. Our commitment is to bring the best quality in constructing in timely manner without neglecting the safety for both our valued workers and clients.